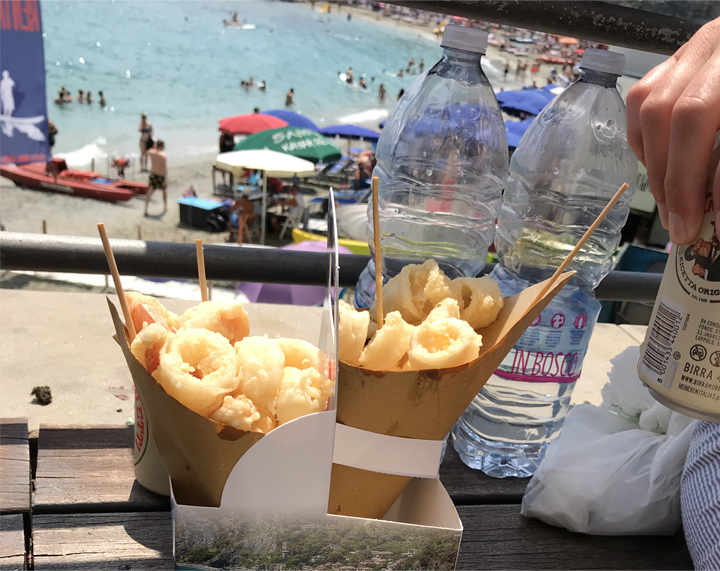 In the sea-side town of Monterosso al Mare, I ate something worth writing home about. Tasty local seafood, not only cooked to order but breaded to order and served with lemon wedges. It’s a slow long line but an experience. 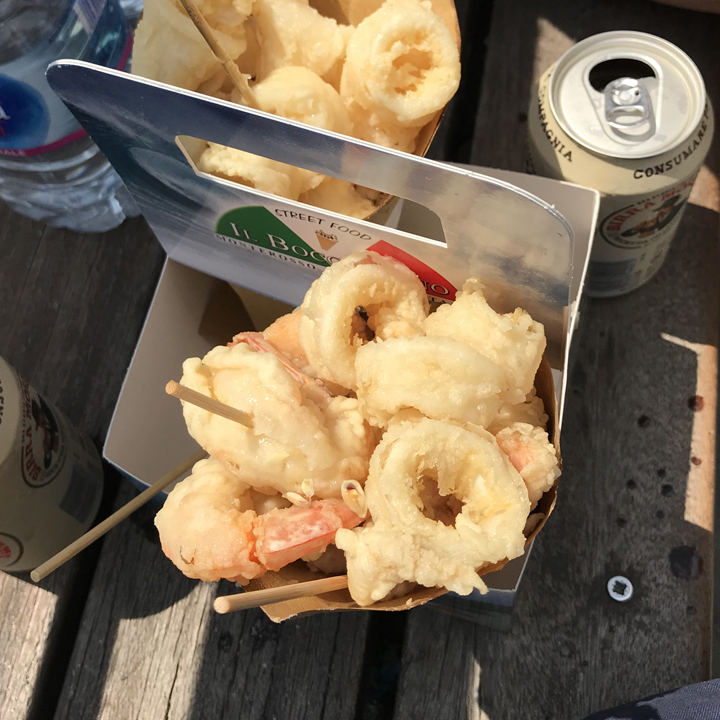 Prawns, calamari, local fish and a beer. 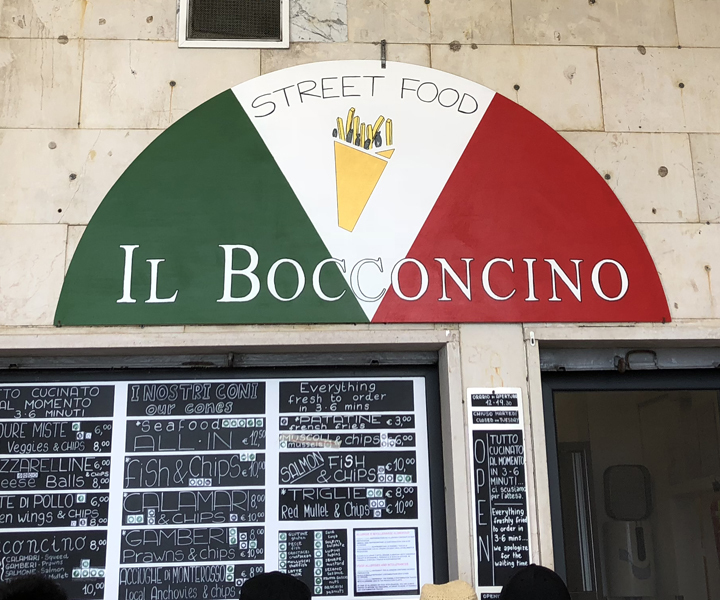 IL Bocconcino is inexpensive, a rarity in the Italian Riviera. 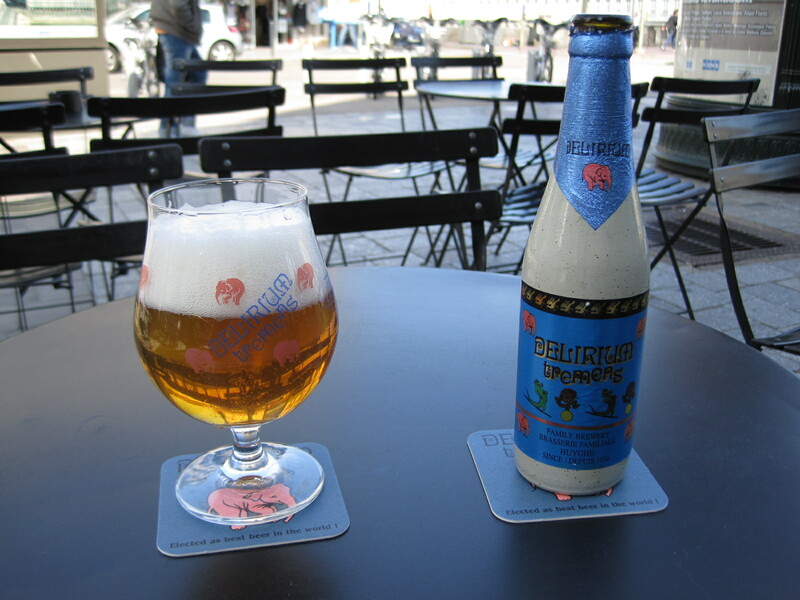 There are other places serving seafood in a cone but Il Bocconcino is the one locals prefer.